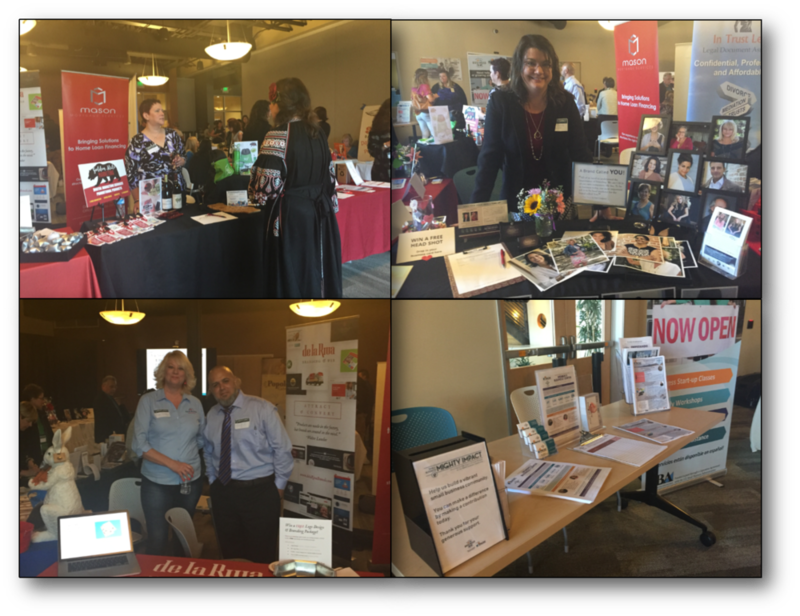 Small Business, Mighty Impact Event! February 1st, 2018 marked the Women's Business Center's first successful friend raiser 'Small Business, Mighty Impact'. Over 160 entrepreneurs and business professionals extended their support for our local women small business owners. As guests entered they walked through our market place where local products and services were displayed. Each business represented a unique industry within our community. Other eye catching activities featured at SBMI, were our Silent Auction, that brought in nearly $2,500. And our WBC Client Success Exhibit. Our guests enjoyed tasteful treats provided by Popollo, Las Delicias de Zacatecas, and Nourish. Guests were topped off with a divine glass of wine and sampled craft cocktails perfected and served by Root Elixers, Talley Vineyards and Croma Vera Winery. Coastal Peaks also kept our guests wide-eyed and sprightly as the evening progressed. MCSC/WBC was delighted to receive special recognition from Congressman Salud Carbajal, California Assemblyman Jordan Cunningham, and Mayor Heidi Harmon. Support from all levels of government are essential to our organization's growth! A special thank you to our Master of Ceremonies and MCSC Board President Anita Robinson and the MCSC/WBC board, and team. With much gratitude we thank our sponsors, donors, business vendors, speakers, and volunteers for their generosity and effort in making this such a memorable evening! Our MCSC/WBC team is diligently planning for 2019's smashing event! If you didn't make it to this year's event make sure you participate next year! For more opportunities to be involved as a sponsor, silent auction donor, business vendor, volunteer, and/or guest stay tuned and/or contact us with your interest!